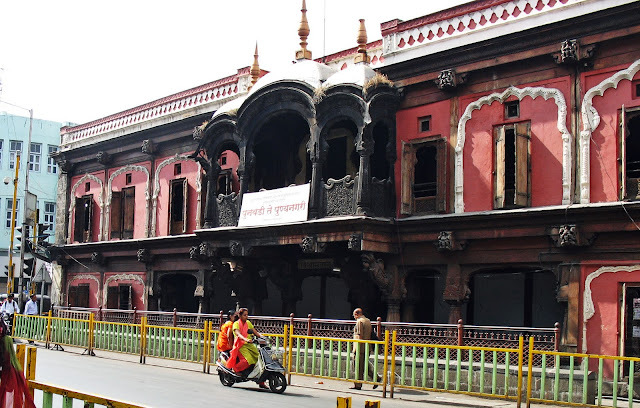 Here are images of the Vishrambagh or Vishrambaug Wada palace, built by Bajirao Peshwa II in between 1803-1809. I could not find any good photographs of this beautiful piece of architecture on the internet and it's a thrill to be able to release these photographs into the public domain. 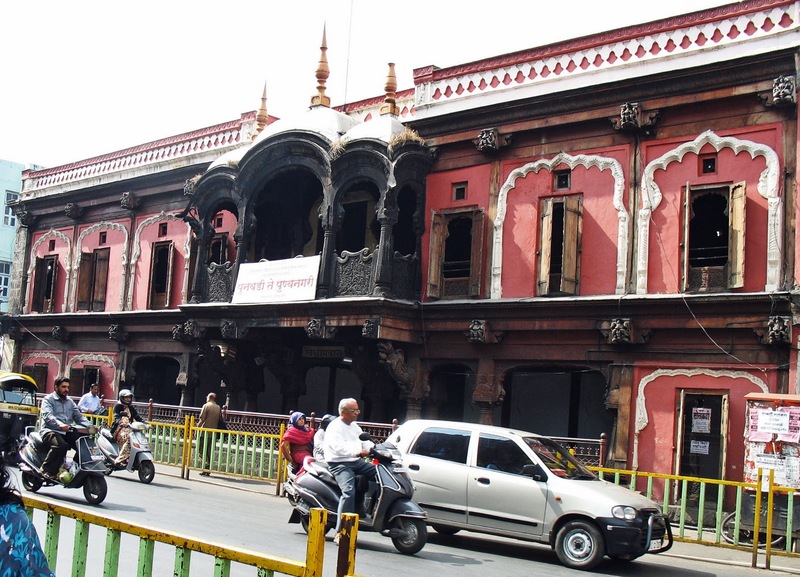 Not many people know that Pune has such beautiful old buildings. This building has a personal connection to me as my great-father (who rose to the position of Director of Public Instruction of CP & Berar (1884) during the British Raj) went to school here, as Poona High School was then located in Vishram Baug Wada. This building has been used for various governmental purposes. I remember going there for an immunisation shot as a child. Located on Bajirao Road in Pune, the building has a government library, a post office as well as a museum of Maratha History. Due to heavy traffic on Bajirao road it is difficult to get a clear shot of Vishram Bagh Wada. The photo below has been cropped from beneath to hide the traffic, but it is a single photo which gives a clear view of the heritage building. A little patience paid off. After waiting for awhile I managed to catch Vishram Bagh Wada with just a single two-wheeler in the foreground. 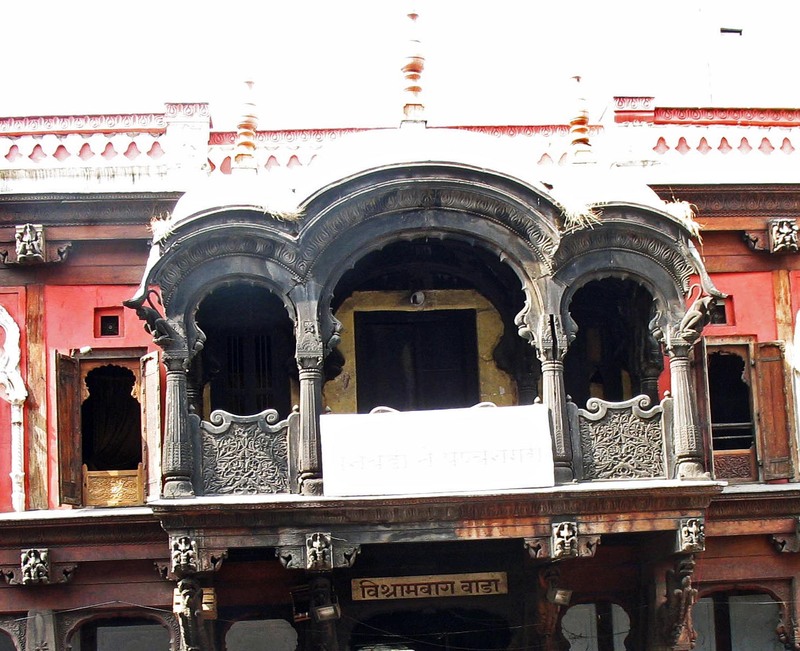 You can glimpse the wooden carvings which make this building unique. Note the long windows, almost like doors. 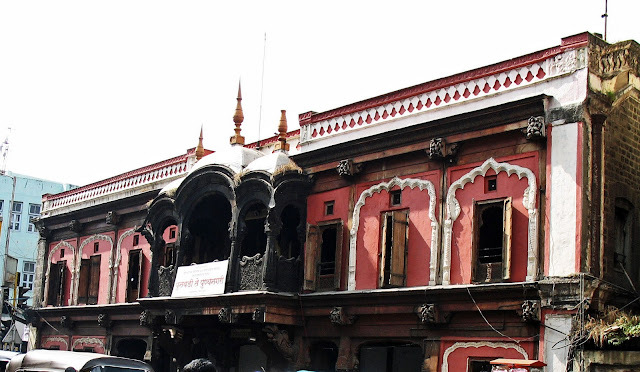 These provided ventilation and is typical of Peshwa architecture. Another view of the wada, but this time more traffic. 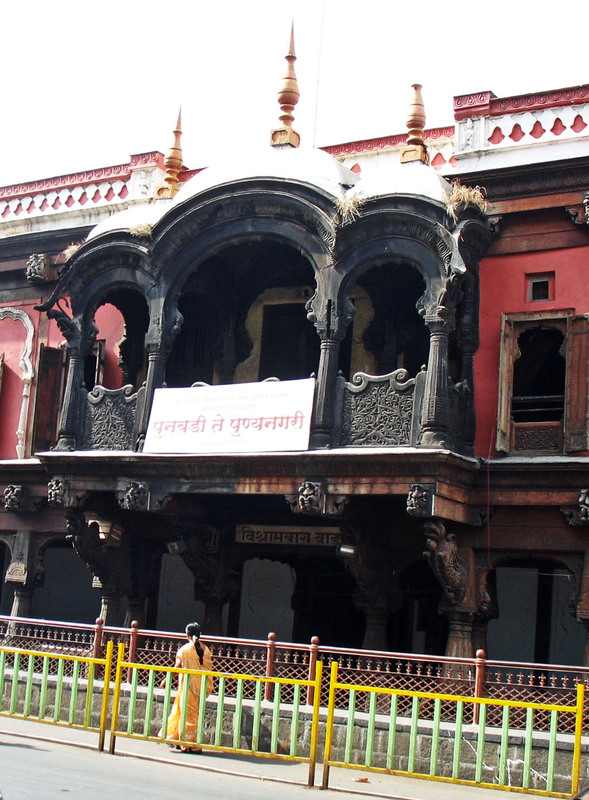 This area was once a garden (Baug) and that is why this structure is known as Vishram Baug Wada. Vishram was apparently the name of the gardener. The image below has been stitched from three photos to give a complete view of the structure from the front. It was while studying these photographs that I noticed that this structure has four windows to the left of the porch, and only three on the right. The next two images are close-ups of the entrance. You can see how our government officials ruin the look of any beautiful building by putting up ugly signs on it. And a stupid sign at that, saying nothing really. Or check out heritage buildings from some other parts of the world by clicking on the label "Heritage buildings"
Photo of Gulzar, the lyricist in Hindi cinema.